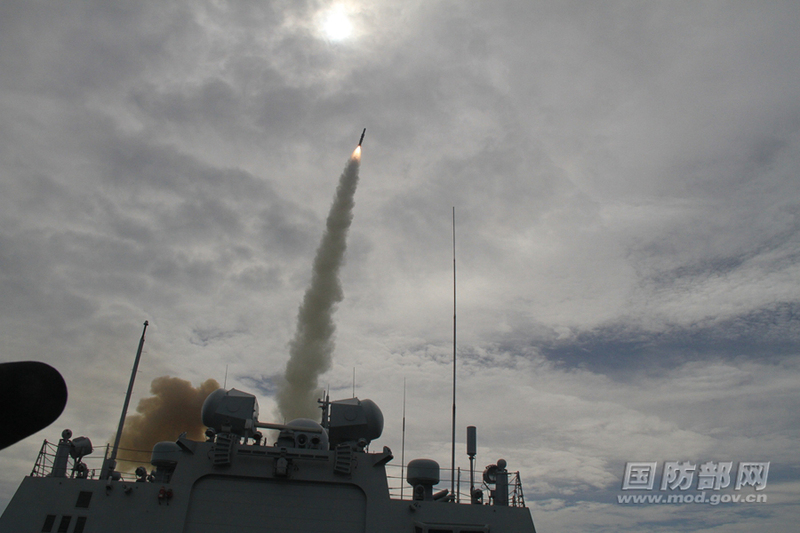 According to Chinese sources, in China in the past month since the beginning of September to early October 2016 there were launched four corvettes (small frigate) of Project 056A. 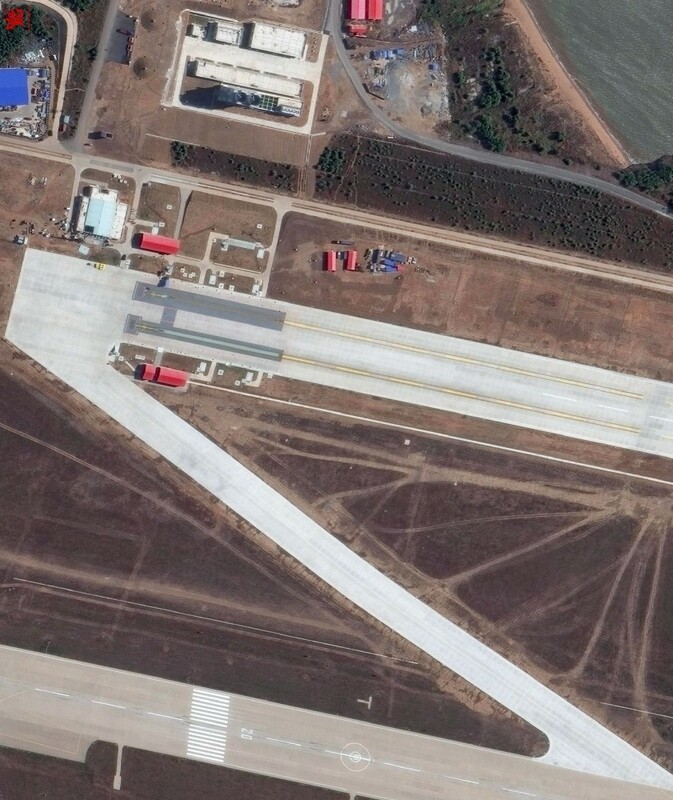 Complete the modernization of the Chinese ground test and training complex of naval aviation at the airport Huanditsun (Huangdicun), which is located on the shores of Bohai Bay in Liaoning Province. Initially, in 2013 there were only blocks from the ski jumps and arresting gear, which trained pilots for the first aircraft carrier "Liaoning". But now there is established a new catapult, two ejection paths are slightly different from each other. There are suggestions that there may have set both the steam and the mass driver, as the differences between them were clearly visible, and during the construction phase. 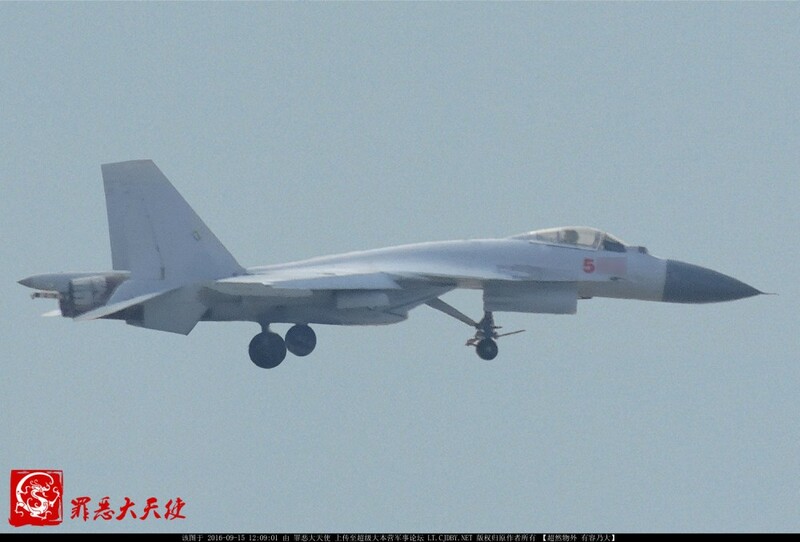 There are also rumors that have already taken the first successful test of a new modification J-15 carrier-based fighter with this ground complex using the electromagnetic catapult. 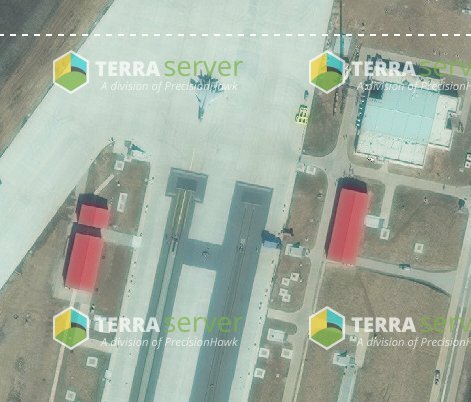 And indeed, judging by last October's satellite images, there can be seen October 17 J-15, standing next to one of the two ejection paths. 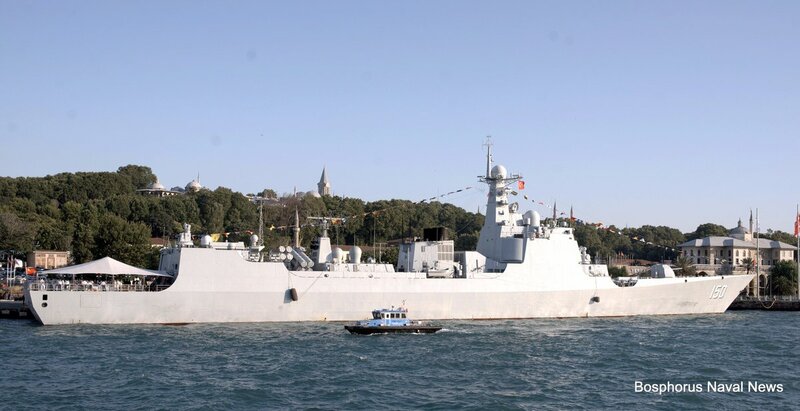 The destroyer type 052C "Zhengzhou"
The destroyer type 052C "Haikou"
The destroyer type 052D "Changsha"
The frigate Project 054 "Yantai"
The frigate Project 054 "Linyi"
Yeah... this where it seems PLAN has now surpassed RuN in carrier ops. I am noticing more planes and much more activity on the deck than what we've seen on the Kuz all these decades. Their plan on working cats wins the cake. Also... no smoky engines. Cats are natural evolution to any aspiring Navy's carrier doctrine. Soviets were on the same page. That is like saying you don't have an air force if you don't have hundreds of inflight refuelling aircraft. Having inflight refuelling aircraft can be very useful for a lot of airforces... but a total waste of a lot of valuable resources, people, and money for other air forces. Suggesting all Navies need carriers let alone catapults on those carriers is just ignorant. For every technology there are capabilities, costs and limitations. For many navies a carrier does not make sense let alone needing to develop an expensive catapult system, so no, it does not represent any natural part of the evolution of a Navy. For the Russian navy a catapult system might come in useful on a few rare occasions, but for most missions it would be dead weight... very expensive dead weight at that. Add the cost of developing a new AEW aircraft and their might be some value, but I rather doubt it... especially when the future aircraft platforms being used will be the MiG-29KR and a variation of the PAK FA which are not heavy bombers. They have plenty of conventionally armed supersonic anti ships missiles which will now get land attack capability... which makes them rather more capable than any version of the F-35 or Rafale which would only operate at supersonic speeds for very short periods of flight... Supersonic at low altitude and in the near future hypersonic weapons will have rather better interdiction performance than manned aircraft without the risk to man power. AEW would be better provided with satellites and large UAVs. Might come as a shock but it would be rather cheaper and those same assets can cover land as well as sea... making them even more useful than carrier based AEW aircraft. AEW&C with sufficiently long loiter time is the epitome of a modern Navy. It's a necessity given extreme threat environments. Moreover payload issues are becoming irrelevant with cats. It's very fundamental really, advanced carrier designs where the aircraft utilized are not STOVL (read F-35B), absolutely need cats. And I'm sure you would agree that the Chinese are a step ahead concerning the use of Kuz's sister ship. AEW&C is critical but in this day an age the Russians have a satellite network and of course the Ka-31 AEW aircraft that can offer such capabilities without the bulk and weight and expensive of a catapult system. Longer term an airship operating at over 30km altitude would be rather more desirable than any ship based aircraft for the role. Would you say India was a step ahead of Russia when it had Su-30MKIs in service before the Russians had the Su-35 in service? I guess you will think the British F-35 will be more sophisticated than the American F-35 when the British incorporate Brimstone on their aircraft and the Americans don't. I guess it is just a single feature added to a technology makes a country a "step ahead". 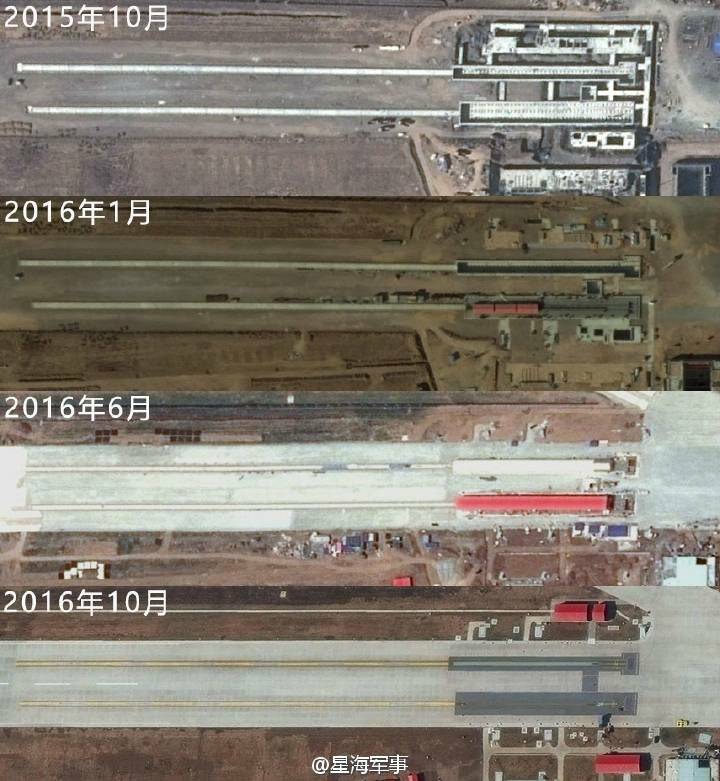 What AEW aircraft do the Chinese deploy on their new ship? GarryB wrote: Would you say India was a step ahead of Russia when it had Su-30MKIs in service before the Russians had the Su-35 in service? You're missing the point completely. Cats are a step ahead due to simple physics really. There's no comparison to India's fighter program or the Brimstone. PLAN is just slowly getting better by the day in the whole carrier business, compared to RuN being stuck with old tech. They've demonstrated it and there's nothing wrong with appreciating reality. The Chinese Navy has launched construction of its new generation amphibious assault ship, the 075 Landing Helicopter Dock, the South China Morning Post reported. A catapult in itself is useless. The capacity it provides is the ability to launch aircraft with heavy loads and also to allow much heavier aircraft to operate from the limited deck size of a carrier at sea. If you think hauling tons of bombs is a step ahead then you are an idiot... when was the last time you saw an F-16 get airborne operationally with 7 tons of weapons? Planes don't operate at max capacity because it greatly limits speed and flight performance and carrying lots of bombs is no real advantage because real combat is not some stupid video game where you fly around hitting dozens of enemy targets. The only value for the chinese with cat systems would be the ability to operate a heavy AWACS aircraft... and do they have one? If they don't then the Russian Navy with its land based AEW aircraft and Ka-31 naval AEW aircraft are still a step ahead. Do you think China will have a carrier in the Med or off the coast of Africa any time soon? 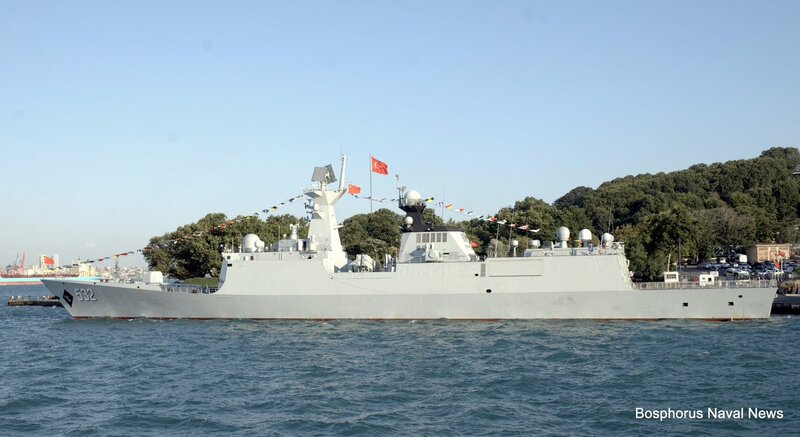 The facts are that the vast majority of weapons and systems the Chinese have on these new vessels are poor copies or developments of Russian and Soviet weapons and systems... are you sure they are a step ahead? In Shanghai, the fifth landing helicopter-dock of Project 071 was launched. Launch of the Chinese Yu-8 anti-submarine rocket from the frigate project 054A "Xiangtan"
The Chinese spy ship that sailed international waters off the coast of Alaska during a recent missile defense test was a class that had never been seen before in Northern Command’s area-of-responsibility, a spokesperson said Friday. 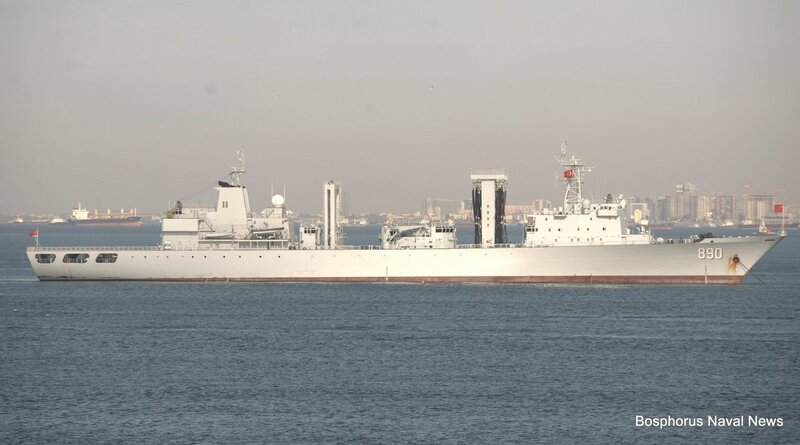 According to the PLA report cited by the China Daily, the PLA Navy now operates six electronic reconnaissance vessels. The report also gave specific information about the ships such as their capabilities and functions. “Until now, the PLA Navy has never made public so many details about its intelligence collection ships,” said the report. 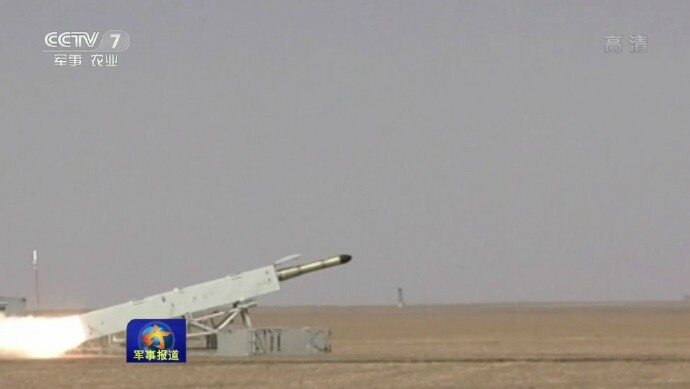 The newly launched Kaiyangxing was capable of conducting all-weather, round-the-clock reconnaissance on multiple and different targets,” the China Daily reported. “The ship is so sophisticated that only a few countries, such as the United States and Russia, are capable of developing it,” it continued. PLAN ships DDG Changchun, FFG Jingzhou, AOR Chaohu continue their visit in Istanbul while another PLAN taskforce passed the Danish Straits. 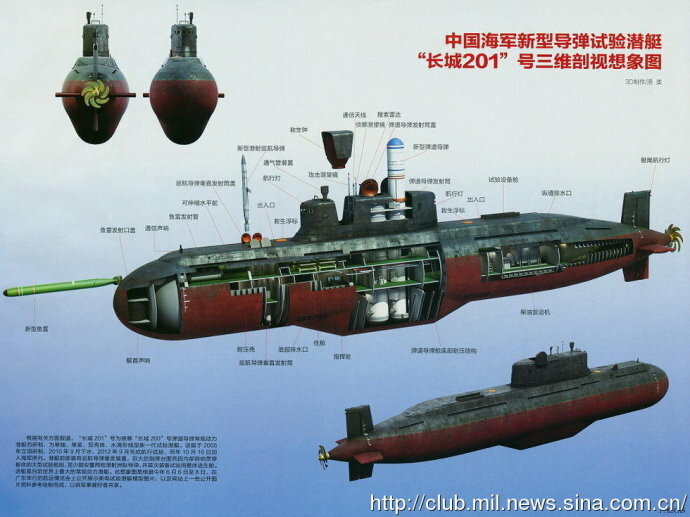 As reported by the magazine "Jane's Defense Weekly" in an article by Richard D. Fisher Jr. "Modification to sail of Qing-class" with reference to the photo appeared in the Chinese Internet, the Chinese experimental diesel-electric submarine project 032 (on-board number "201") underwent a conversion, presumably for testing A new type of ballistic missile. At the photo taken in July 2017 of this submarine at the Dalian Liaonan Shipyard shipyard in Dalian (more precisely, in Lushun - the former Port Arthur - now part of Dalian), it is noticeable that in the rear part of the railing of the drawers of the boat A missile mine of a greater length than before was clearly installed, which is now seriously "issued" in height. According to speculation, the modernization of the boat was carried out to carry out marine tests of the prospective marine ballistic missile JL-3, allegedly created for future Chinese nuclear missile submarines of the new generation of the project 096. About the development of the Chinese atomic missile submarine project 096 and the ballistic missile JL-3 for It is reported in the latest report of the "China Military Power" of the US Department of Defense. On the bmpd side, recall that the Chinese experimental prototype diesel-electric submarine project 032 (Western designation type Qing, the Chinese side number "201", the name "Great Wall 201") is considered the world's largest non-nuclear submarine, having a full underwater displacement of more than 6600 Tons and a length of 92.6 meters (our blog has already reported about it - here and here). The boat was built in Wuhan by the shipbuilding company Wuchan Shipbuilding company Wuchang Shipbuilding Industry Company, a part of China State Shipbuilding Corporation China Shipbuilding Industry Corporation (CSIC). 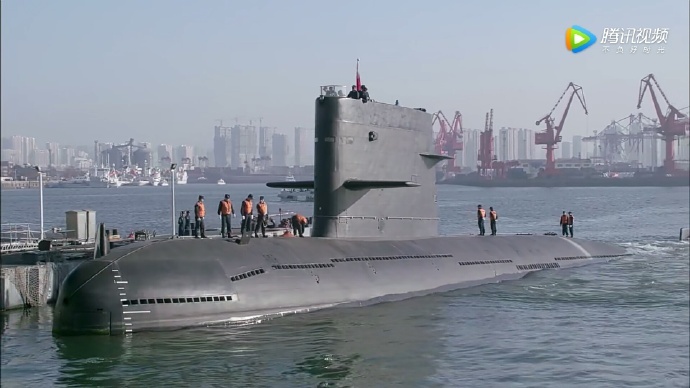 Construction of this submarine was started in Wuhan in 2008, launching took place in September 2010, and during 2011-2012 the boat was tested. 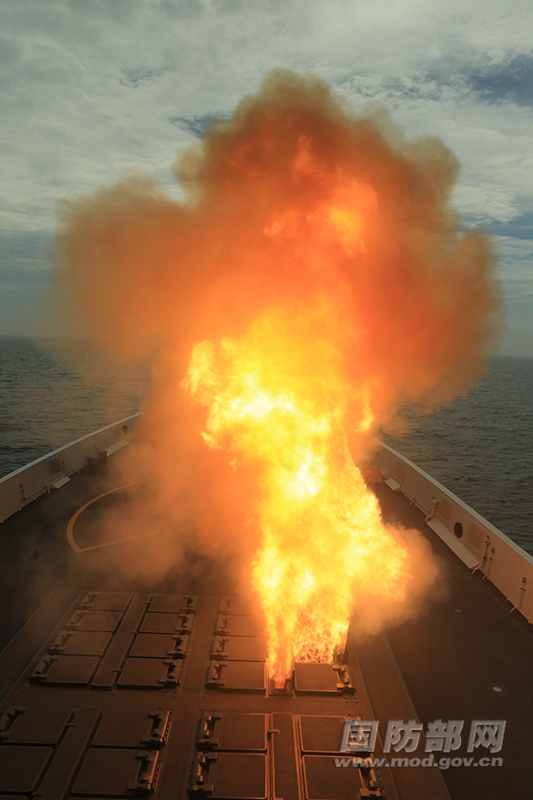 On October 16, 2012, the boat officially became a member of the PLA Navy. The project 032 boat was designed and built to replace the PLA Navy used since 1965 as an experimental diesel-electric missile submarine of the Soviet project 629 (the Chinese designation project 031, the on-board number "200", was assembled in Dalian from the structures supplied from the USSR) and Is designed to develop various types of underwater weapons, including rocket, as well as detection systems, including the SAS. The general design of the double-hull design of Project 032 replicates Project 629 with the deployment of two ballistic missile silos. Passing through the hull of the boat and the fence of retractable devices. At the same time, the contours of the light hull of the 032 project boat were apparently largely borrowed from the Soviet submarines of projects 877 and 636. The project 032 also installed four vertical launching installations for cruise missiles, two 533 mm torpedo tubes and reserved seats for the new Special equipment. The boat is also for the first time in the underwater shipbuilding of China, equipped with a life-saving pop-up camera modeled on Soviet and Russian nuclear submarines. Initially, two JL-2 ballistic missiles were installed on the 032 project's boat, however, according to Chinese publications, the boat was "late" by construction and in fact was no longer used for marine testing of this missile, which now forms the main armament of the 094 project SSBN in China. A couple of interesting articles, the first on the development of China's 3rd generation integrated electric propulsion systems IEPS and the second on the new Type 055 13,000 ton destroyer? Fascinating stuff. 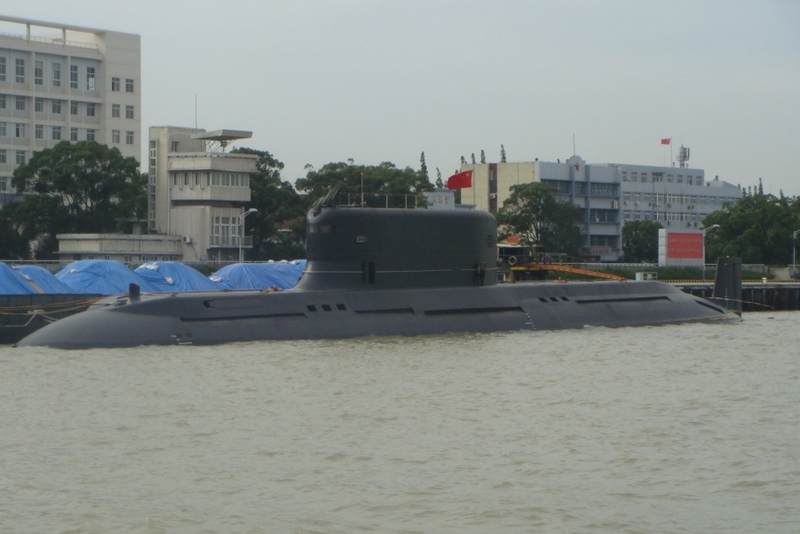 Project 039 is the latest and most modern type of submarine, independently developed and built in China. Boats were intended to replace obsolete submarines of the type "Min" (type 035) and completely unfit for the use of boats like "Romeo" (type 033), which for four decades formed the basis of the grouping of diesel submarines of the Chinese Navy. The development of a new type was based on constructive requirements that corresponded to Western approaches to the construction of submarines. They included the provision of good hydrodynamics due to the smooth hulls and hull fencing, the installation of new cylindrical HAS in the bow, the use of the power plant based on the German-made MTU series diesel engines (16V396 instead of the 12V493 initially considered), the armament of the boats with the new Russian anti-submarine torpedoes. Another important requirement, aimed at ensuring the impact and defensive characteristics of boats of this type, was their armament with anti-ship missiles. This task was solved by equipping the boats with YJ-82 missiles launched by torpedo tubes (modification of the C-801 ship missile) capable of delivering a 165 kg (364 lb) warhead at a range of 40 km (24.9 miles) using the inertial navigation system And active radar guidance in the final section of the flight trajectory. In all respects, boats of the "Sun" type corresponded to the technological standards that were applied to Western submarines built in the 1980s.